Source / Copyright Carol McNeill Chairperson of the Dysart Trust. 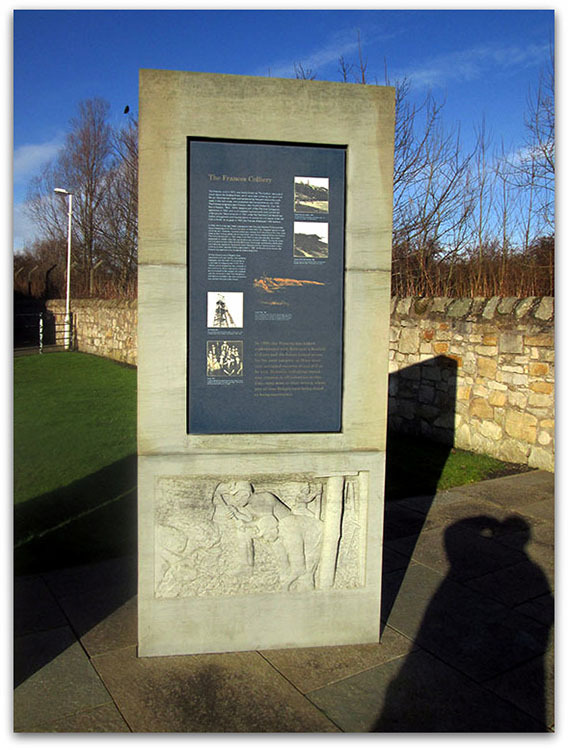 The plaque bears the names of the other bodies involved along with the Dysart Trust in producing the plaque. The Frances, sunk in 1873, was locally known as 'The Dubbie', because it stood above the Dubbie Braes, which were later ruined by the spoil from the pit. Development work was hampered by frequent encounters with water in the rock strata, and production did not commence until 1905. 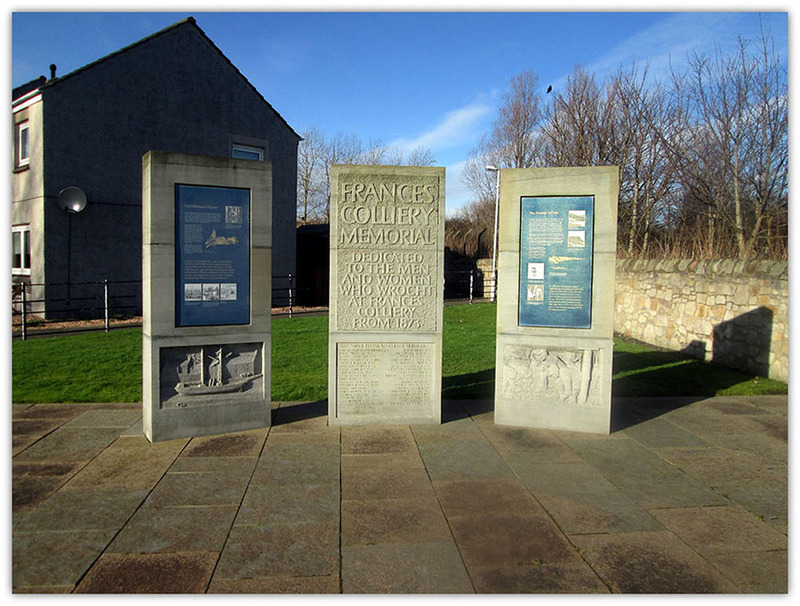 The Frances (originally spelt Francis - after Francis Robert St. Clair, 4th Earl of Rosslyn, 1833 - 1890), became part of the Fife Coal Company's operations in 1923, and much needed improvements were carried out underground. Nationalisation in 1947 under the National Coal Board saw further enlargement and mechanization to access the rich seams under the Firth of Forth. At its peak in 1959, the Frances employed 1,402 workers. In 1980, the Frances was linked underground with Kirkcaldy's Seafield Colliery and the future looked secure for the joint complex, as there were vast untapped reserves of coal still to be won. However, industrial unrest was common in all industries at this time, none more so than mining, where pits all over Britain were being closed as being uneconomic. This finally boiled over in 1984, when, in an effort to save pits and jobs, the miners embarked on a bitter strike that was to last a year and end in defeat. 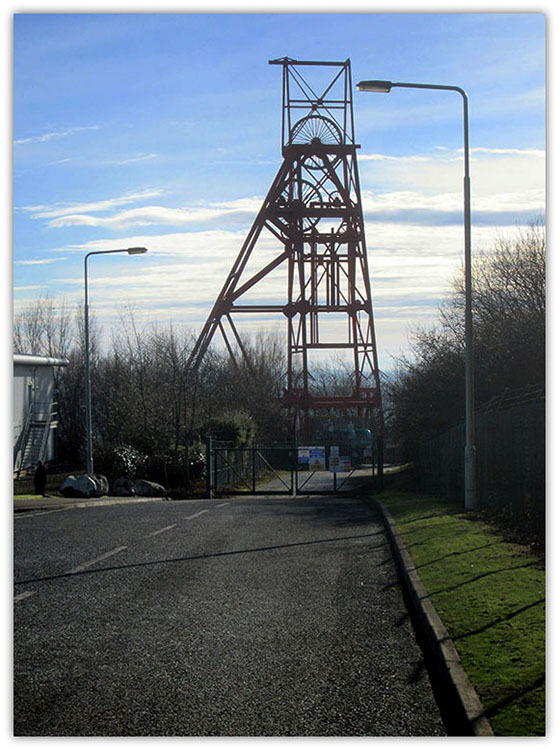 During the strike, the only working face of the Colliery (D51) took fire through spontaneous combustion and had to be sealed off. 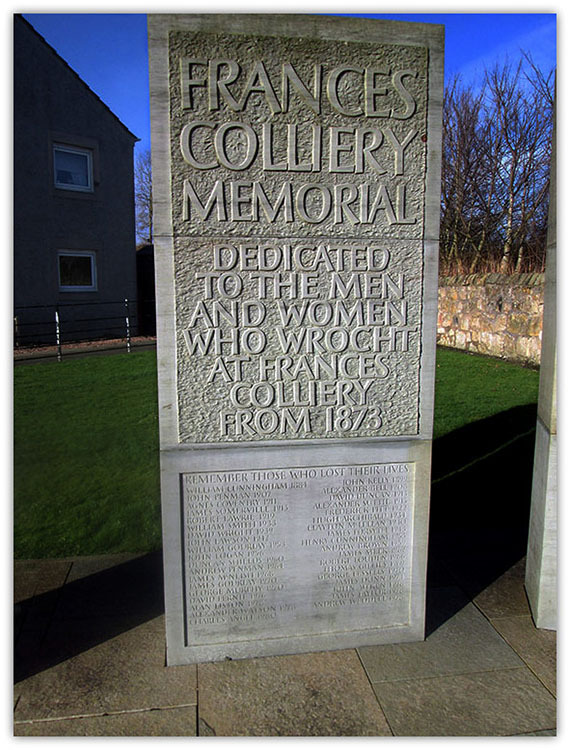 Production never resumed and the Frances ceased to be a working pit when Seafield Colliery was closed in 1987. 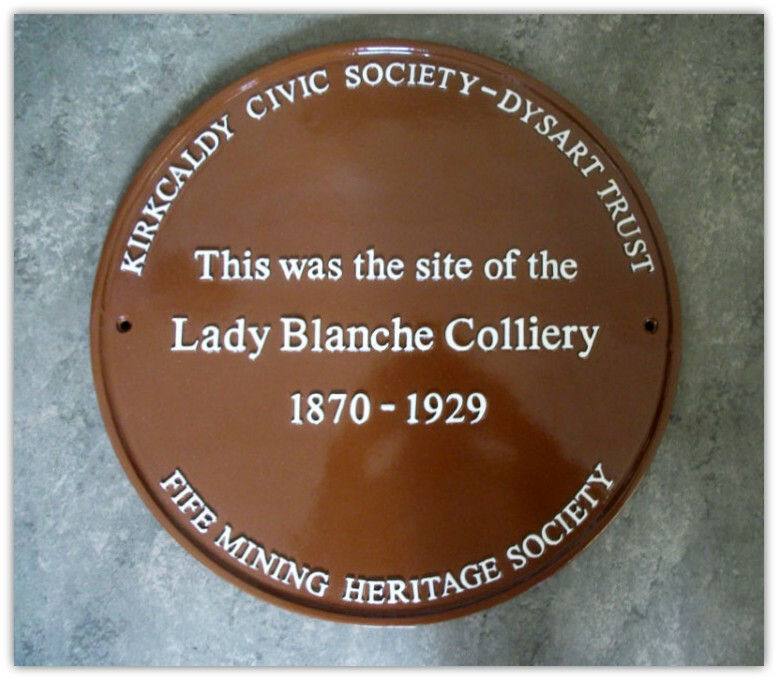 At the time of its closure, the Frances was reported to be Scotland's oldest deep mine. All that remains now of Dysart's long association with coal mining is the winding headgear over the shaft. 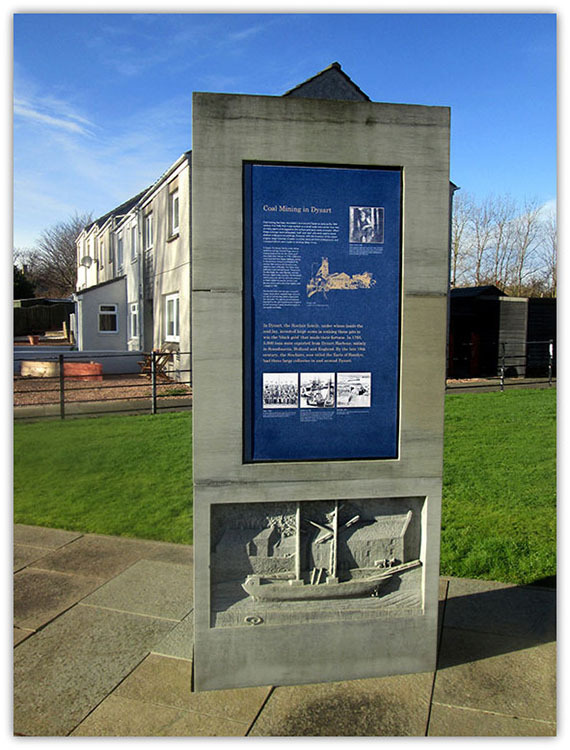 It now stands as a reminder of a bygone way of life, of an industry which shaped the very character of this community. 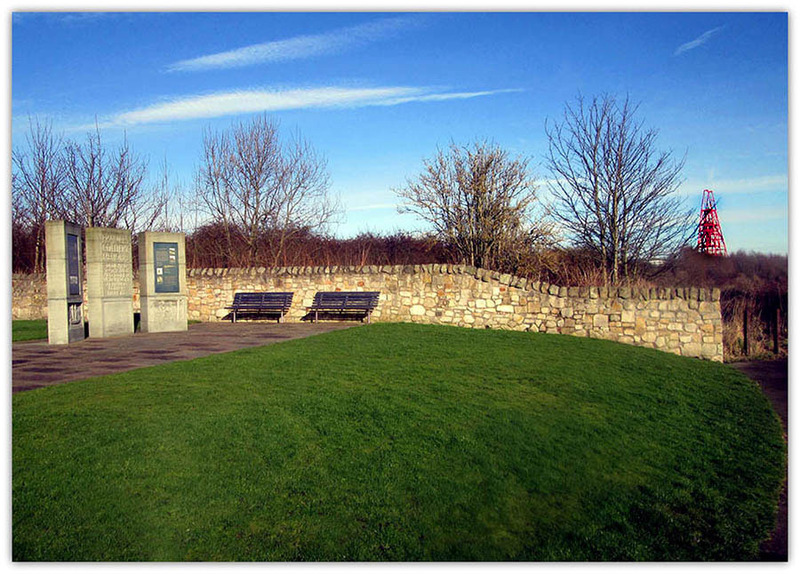 More importantly, it stands as a monument to the people who worked over the centuries in that most dangerous and dark environment, the men and women who worked the coal under Dysart.